Stainless Steel Heart Monogrammed Bracelet - Only 3.59!! 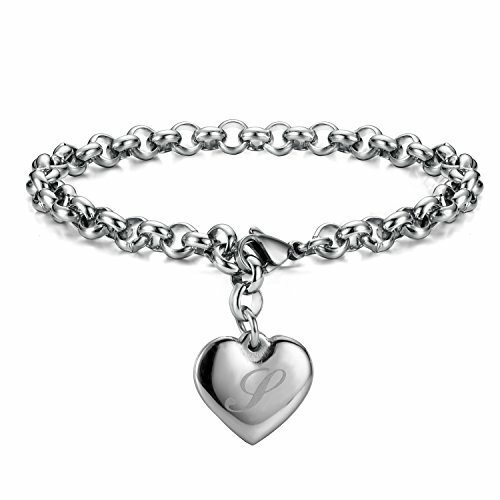 Stainless Steel Heart Monogrammed Bracelet – Only 3.59!! Head over to Amazon and get this just in time for Valentine’s Day! It’s 11.98 with free shipping if you’re a prime member… but add promo code 70V2JH6K at checkout to get this for only 3.59!! Hand Polished Heart Initial Bracelet, 26 Available Alphabet Can Choose. S Initial Bracelet, It Is A Special Font for Special One. All Season Pre Washed Soft Microfiber White Goose Down Alternative Comforter Just $19.99 SHIPPED! ALMOST GONE! Kids 3 Wheel Light Up Scooter Half Price & FREE Shipping! TOO CUTE! Cat Slippers Just $6.80 SHIPPED! FLASH DEAL! Coppertone $2.46 Per Bottle SHIPPED!